Become part of a small, dedicated team that is working on leading edge technology for internet-based problems. We work on the latest platforms with the latest updates so that we can solve the unique problems our customers bring to us. We’re not a cookie-cutter operation, so we’re not looking for cookie-cutter individuals. We’ve always been on the razor’s edge of what’s new in IT. That’s why we’ve been around since before the web browser even existed. You’ll get to explore the newest trends in the industry. You’re not just a number here. Working at XNet means you’ll have open forum to voice your ideas and opinions and the opportunity to enact them. 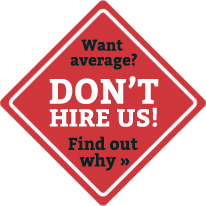 Below you’ll find the positions we have available for immediate hire. If interested, please send us a resume and cover letter to the address listed to the right. Even though we’re a high-tech company, our difference comes in how high-touch we are. We prefer resumes in person or via mail. © 2014 XNet Information Systems, Inc. All Rights Reserved.